In this episode, Ray & Dylan discuss the last match of the season for Orange County SC as they lost to Phoenix Rising FC 1-2. In this episode, Ray & Dylan welcome Kevin Gates of PRFC FanShow and Aaron Blau of Firebird Soccer and Rising As One to help recap the wins by Orange County SC and Phoenix Rising FC, and preview the Western Conference Final this Saturday at Championship Soccer Stadium. Live broadcast pre-game at Knowlwood's for round 2 playoff match between Orange County SC and Reno 1868 FC. 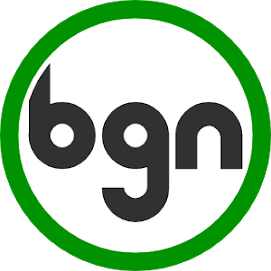 In this episode, Ray & Dylan welcome 2 guests, John Macaluso from 1868 Weekly and Richard Rainwater from BGN Written to help recap the big win for OC over Saint Louis FC. They also look back at the big win for Orange County's next opponent, Reno 1868 FC, over Real Monarchs SLC. Ray & Dylan welcome not 1, not 2, but 3 guest to help them prepare for the playoffs. Carson Merk from Las Vegas Soccer Betting Hour, Phill Grooms from the STL Soccer Report and The USL Show, and Scotty Smith from the 901 Soccer Pod join the guys to talk about OC's loss in Reno, preview the first round of the USL Cup Playoffs, and much more. In this episode, Ray & Dylan welcome John Macaluso from 1868 Weekly to help discuss Orange County's recent victory over Seattle Sounders FC 2 and Reno's draw with Phoenix Rising FC. They also preview the upcoming match between Orange County SC and Reno 1868 FC. In this episode, Ray & Dylan welcome Orange County SC midfielder Richard Chaplow to discuss his recent retirement announcement. He shares some memories from the past, and discusses what might be in store for his future. The guys also discuss the upcoming match against Seattle Sounders II, the date and time of the USL final, and much more. In this episode, Ray & Dylan look back at the two wins over Real Monarchs and Las Vegas Lights FC, which not only clinched the playoffs, but also home field in the first round. Orange County is now in 1st place in the West with just 2 matches left in the regular season. The guys also discuss the USL rebrand, plus much more.